David Ricardo (1772-1823), a British political economist, was one of the few people in history who managed to achieve both lasting fame and tremendous success. A third of seventeen children of a rich banker, he was disinherited when he was 21 years old after marrying a Quaker – he married outside his Jewish faith. Mr. Ricardo became immensely wealthy as a stockbroker and loan broker. When he died at the age of 51, his estate was worth over $100 million in today’s dollars. Ricardo said he became interested in economics at the age of 27 after reading ‘The Wealth of Nations’, by Adam Smith (1723-1790), a Scottish philosopher and author, known today as the ‘father of modern economics’. Ricardo wrote his first article on economics when he was 37, and spent the rest of his life as a professional economist. He initially gained fame among economists across Europe over the Bullion Controversy. In a series of articles in 1809, he wrote that Britain’s rising inflation was the result of the central bank’s (Bank of England’s) propensity to issue too many banknotes. The Bullion Controversy: the British government left the gold standard so that it could increase funding for the war against Napoleon. This inevitably led to an expansion in the money supply and rising inflation. Ricardo said that the increased inflation was the result of expanding the money supply, other economists disagreed. Ricardo was one of the first believers in the quantity of theory of money – what we call monetarism today. In an article in 1815 – Essay on the Influence of a Low Price of Corn on the Profits of Stock – Ricardo put forward a concept which became known as the law of diminishing returns. The law of diminishing returns holds that as an ever-increasing quantity of resources are combined in the production of a fixed resource, for example, as more machinery and labor are used on a fixed quantity of land – whatever you add to that output will diminish. Britain’s Corn Laws restricted imports of wheat. Ricardo was against these laws. He argued for free trade, and formulated the idea of comparative costs – what we call today comparative advantage. Comparative advantage is a very subtle concept that is the fundamental basis for most current economists’ belief in free trade – the free movement of goods and services between countries. The idea of comparative advantage states that a nation that trades for goods that it can get at lower costs abroad is better off than if it had produced the goods at home. If Country A can produce wine more cheaply than Country B, but country B can produce bread at a lower price than Country A, the two nations will be better off if they trade in wine and bread, i.e. Country A sells wine to Country B and buys bread from Country B.
David Ricardo was a strong believer in free trade between countries. Nations that pursued free international trade policies ended up much wealthier and technologically more advanced than their isolationist counterparts, he said. Ricardo was able to put forward complex ideas and conclusions without all the mathematical tools and sophisticated equations that economists today believe are essential. The theory of rents was one of Ricardo’s main contributions arrived at with no complicated equations or mathematical tools. He explained that farmers would start using less fertile land as more land was cultivated. However, as bushels of corn from less fertile land are sold for the same price as bushels from highly fertile land, tenant farmers would generally be willing to pay higher rents for the very fertile land. Therefore, it is the landowner and not the tenant who gains from highly fertile land. David Ricardo developed the classical theory of comparative advantage in 1817 to explain why countries deal with International trade. 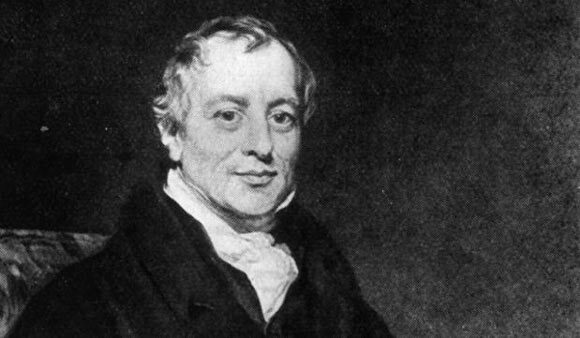 In this video, David Wang gives us a brief biography of the British political economist David Ricardo, who started working for his stockbroker father at the age of 14, and had made a ‘bucket of money’ by the time he was twenty-two.